The Moshood Abiola Polytechnic, Abeokuta (MAPOLY) ND part-time Programmes application form for 2017/2018 is currently on sale as has been announced by the institution and all aspirants and interested members of the public especially prospective candidates are hereby notified of further details and implored to procure their form as soon as possible. Credit Passes in five (5) subjects including English Language and Mathematics obtained at not more than two sittings. Literature-in-English or Oral English are not acceptable as substitutes for English language. in two (2) basic Science subjects (Physics, Chemistry, Biology/Agric. Science and a Pass in the third Science subject. Two (2) other credits from Physics, Chemistry, Mathematics /Statistics, Commerce/Economics, Health Science, Food & Nutrition/ Home Economics/Catering Craft, Geography, Government, Technical Drawing and one Nigerian language (Yoruba/Igbo/Hausa). Government and one Nigerian language (Yoruba/Igbo/Hausa). Credit passes in four (4) or five (5) subjects obtained at not more than two (2) sittings including Mathematics, Chemistry, Biology/Agric. Science with at least pass in English Language and Physics. , English Language, Home Economics, Food and Nutrition. Knowledge, Technical Drawing and Home Economics. Credit passes in five (5) subjects obtained at not more than two (2) sittings including English Language and Mathematics. A minimum of pass in Literature in English is required in addition to the normal entry requirements. 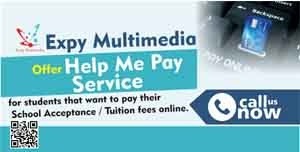 Applicants should apply on the Polytechnic’s portal making use of their ATM card/Master or Visa Card and make payment of Seven Thousand, Five Hundred Naira (N7,500.00) only, then proceed to www.mapoly.edu.ng to complete applications forms online. Application closes on Friday, 30th June, 2017. Like us on facebook to get more info and to share this info with your friends. 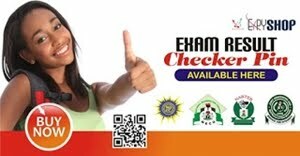 How to check MAPOLY Screening Result.